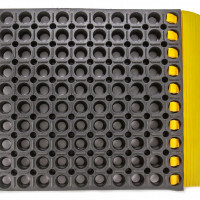 Grit-Tile 3/4″ Non-Slip PVC Industrial Tile is topped with a Carbide Grip Coating for Maximum Traction in wet areas. 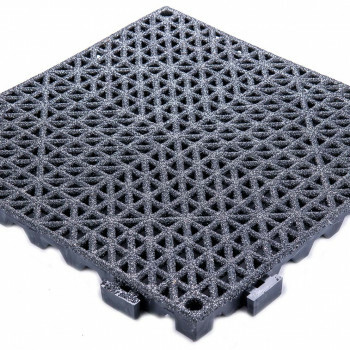 The Open-Grid Waffle surface pattern allow liquids to easily pass through minimizing surface moisture. Grit-Tile is available in a multitude of colors to enhance floor design or to designate particular areas. Transition Ramps easily installed to create stand-alone workstations and to minimize tripping hazards. 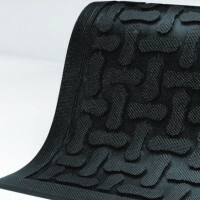 The ergonomic design of Grit-Tile helps to reduce worker fatigue. 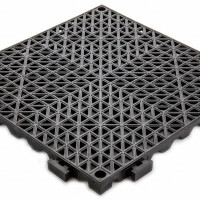 Select Grit-Tile for an easily installed interlocking modular tile with unmatched traction and anti-fatigue properties. 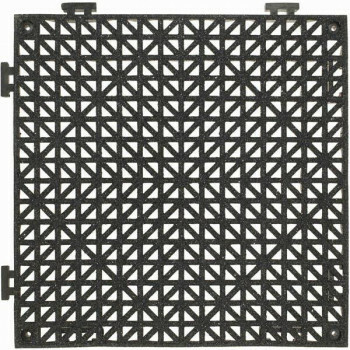 For an industrial interlocking PVC Tile with the Carbide Coating, consider Deck-Tile – 3/4″ PVC Wet Area Tile.